Claire has worked in the credit union industry for more than 16 years. Prior to joining CUBG, Claire worked in a variety of positions for Alaska USA Federal Credit Union, including assisting business members in a branch environment. Claire’s primary responsibilities at CUBG include working with credit unions of all sizes on business deposit products and services including merchant services, remote deposit capture, and ACH origination. 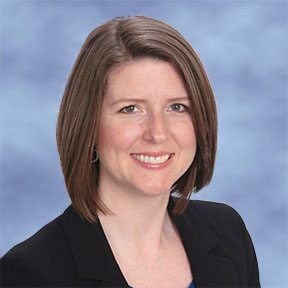 Claire also provides consulting on business deposit pricing strategies, risk management and internal controls, policy development, and more. The combination of Claire’s direct experience with business members and her back office experience gives her unique insight into what businesses want from their financial institution and the ability to help credit unions fulfill their business members’ needs.